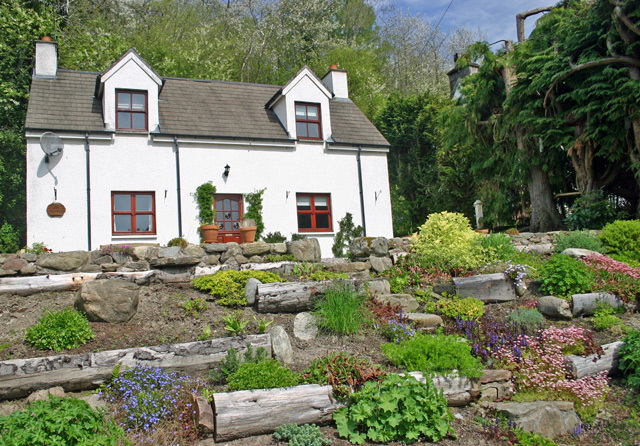 Sleeps 4 - Wifi - Open fire - One large or two small pet/s welcome. Drumnadrochit is the largest village at Loch Ness well known as the Nessie capital of Loch Ness because of the excellent Loch Ness Monster exhibitions in the village. There is also a great selection of bars restaurants and shops in the village so making it a popular destination and base for highland holidays with a special place in the hearts of Nessie fans. 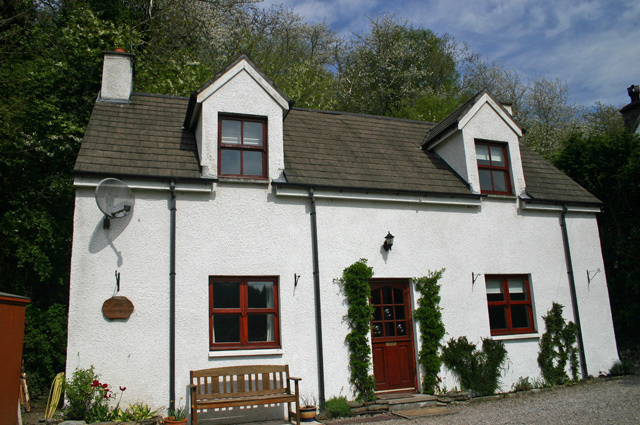 An ideal location for walking, with many hill and forest walks on the doorstep. The village of Drumnadrochit is a short walk from Don Cottage, so just right to walk off the extra calories you may pick up in any of village restaurants. Don Cottage is a traditional Highland cottage, well equipped for self catering holidays, offering fabulous views of Glenurquhart at Drumnadrochit, a nice family atmosphere and a cosy log fire to tempt you to sit around. 1 or 2 small well behaved dogs welcome though the garden is not fenced. The local shops and pubs are one mile from the cottage. 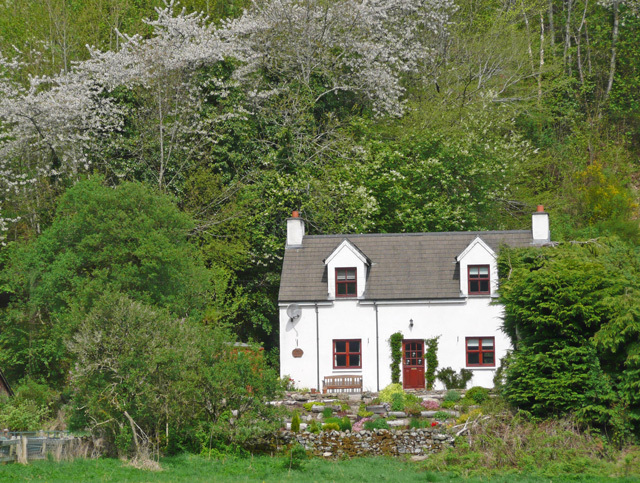 This is a fine example of a traditional country cottage located in a lovely quiet part of Glenurquhart just minutes from Loch Ness. There are lots of outdoor activities in the area for the energetic types as well as peace, art, nature, fishing and photography opportunities for more sedate holidaymakers to enjoy. Lounge with log fire, Freeview TV, DVD player, CD, Radio, iPod dock and mp3 player. 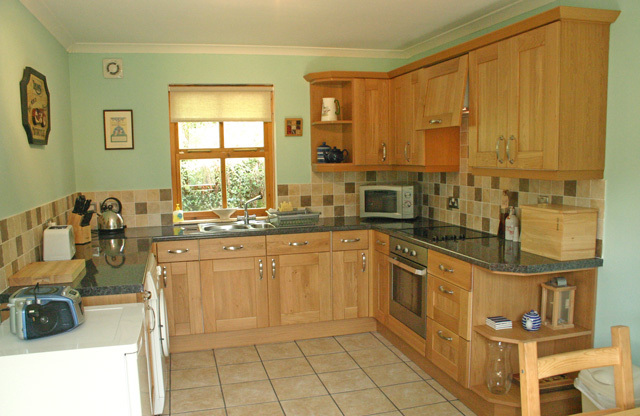 Fitted kitchen includes, oven electric hob and grill, washing machine, fridge/freezer, microwave and all the usual utensils. Bathroom with electric shower over the deep cast iron bath (great for relaxing after a days walking), shaving point and heated towel rail. 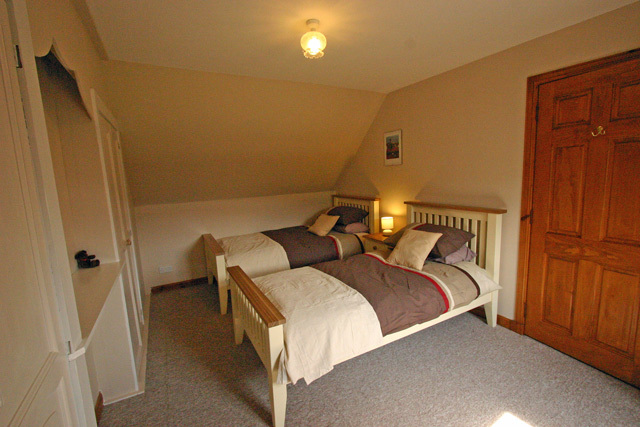 Twin bedroom with single beds. 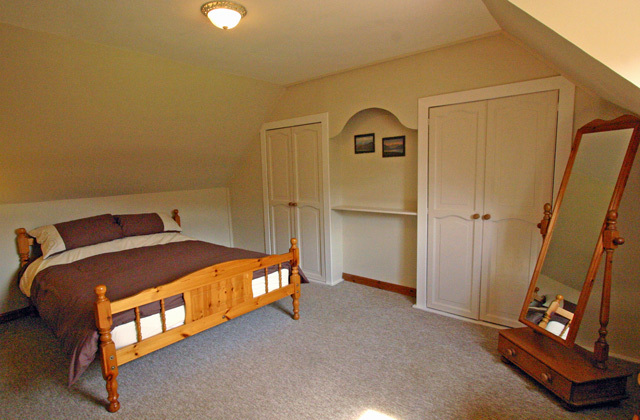 Bed linen, towels are available at an additional cost of £5.00 per set. Large sack of logs for the open fire. Electric storage heating & underfloor heating in the kitchen. One large or two small well behaved dogs welcome. 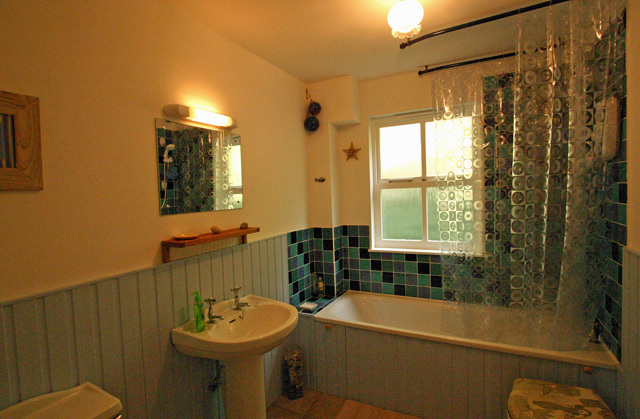 A Good Hosekeeping Deposit of £75.00 is required at this cottage. This is the authentic traditional highland cottage. This is the place for a fishing holiday! If you want to fish Loch Ness, or in local rivers and lochs. This is definitely the place for a monster spotting holiday! Nessie spotters are welcome and you will see lots of other wildlife also. Had a wonderful week, staying in Don Cottage.Everything had been thought of and the welcome pack on arrival was very thoughtful and very much appreciated.The cottage was very comfortable and cosy and suited our whole family including our fur baby who enjoyed the local walks.The cottage is an ideal location for exploring Loch Ness and is within walking distance of Drumnadrochit and amenities. I wouldn't hesitate to stay here again! 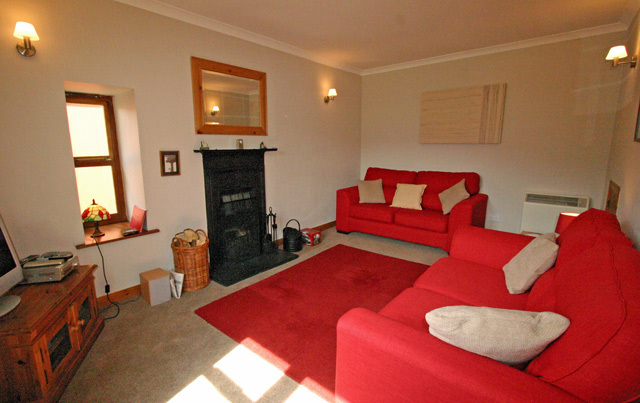 Cottage very well equiped and cosy would recommend it to friends and family! Don Cottage is a nice and lovely cottage with everything you need. The goodies you recieve are super! The kitchen is big and wel equipped. Only comment: you smell the fire place even when you don't use it. This might be inconvenient for some but not for everyone. I dont usually review anything but I had to let people know how nice this cottage is. My husband and I have just spent 2 weeks there with our dog and have thoroughly enjoyed the experience.The cottage contains everything you could ask for equipment wise and is comfortable and very cosy and its location is fabulous . We recommend it most highly. 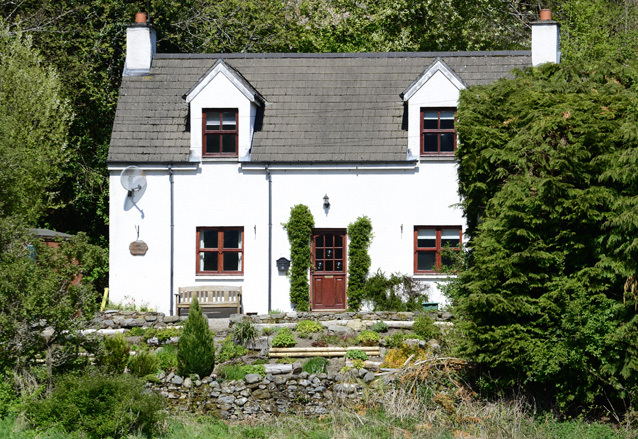 Don Cottage is a traditional cottage which has been sympathetically modernised. The owners kindly let us bring two small dogs and although the garden isn't fenced, we didn't have any problems. We loved the cottage which was clean and extremely comfortable. Everything one could need was there and there was even coal and logs if the temperature dropped, which it did during our stay, even though it was late May !!! I would recommend Don cottage to anyone wanting a fairly secluded peaceful holiday. We had a wonderful time at the cottage, which was very nicely decorated and comfortable. A lot of attention to detail and little touches made a big difference. We would highly recommend the cottage and there is also so much to do in the area...Great value for the money! We stayed in Don Cottage over Thanksgiving, Nov. 2009. After having some issues with our Sat Nav not finding the cottage, we finally found it after asking someone. :) The cottage is beautiful! Our family of four loved it. It was very quiet, peaceful and a lovely place to stay. We thoroughly enjoyed our stay and loved the Loch Ness area. I highly recommend the Don Cottage! !